Good article by Joe Davidson about the Hornets recruiting locally, including updates on verbals. Looks good... several 2 and 3 star players. I like them. They look sharp! Looks like a good recruiting day for the Hornets too! * - wise, this is the Hornets’ biggest haul ever. Incredible considering how much time the new staff had - looks like the connections to Folsom paying dividends early. Good haul, especially considering the limited time this coaching staff had on the recruiting trail. I agree class looks good for short term recruiting. I am guessing they may still get a few recruits over the next month. The ones I see here have a drive to win! 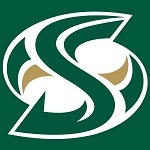 Sacramento State also secured walk-on commitments from Folsom seniors Parker Clayton (receiver), Dylan Jorge (linebacker) and Gavin Davis-Smith (defensive back). Looks like Portland State had the top ranked Big Sky recruiting class with 10 three star recruits and 14 two star recruits. Looks like the Hornets are already ramping up recruiting for next season. I saw this kid play a couple times last season. He's a player. FWIW, here's Skattebo going 'Beast' mode in the State title game. He's got tremendous balance. If you follow the coaches they have some really good 2020 recruits in for unofficials. Never remember any coaches in recent history getting ahead of the recruiting curve. Bout time! Yep. I'm following a couple of them.